Related link Source Food Hall and Cafe. 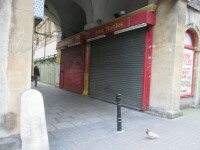 There are three sections to the St Nicholas Market; the sections link together but there are separate entrances to each area. 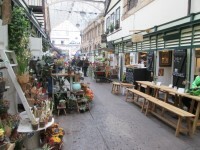 The Glass Arcade Market is the oldest section and includes flowers, goods and multi-cultural street food. 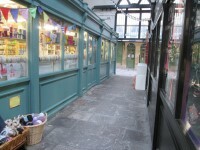 The Covered Market has a wide range of market stalls including many specialist music and international stalls. 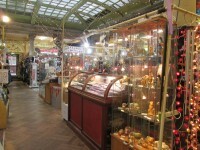 The Exchange Market is in the elegant Corn Market Hall and has varied stalls including antiques. There is also the Nails Market on Friday and Saturday from 09:00 to 17:00 outside The Exchange which sells artwork, jewellery and a range of other goods. 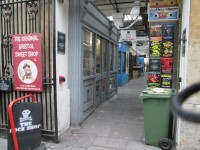 Bristol Farmers Market is open 09:30 to 14:30 on Wednesday on Corn Street and Wine Street. 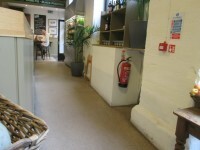 The Friday Food Market is open 10:00 to 16:00 on Wine Street. 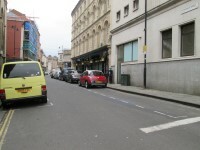 The dimensions of the standard marked parking bays are 3500cm x 290cm (114ft 10in x 9ft 6in). 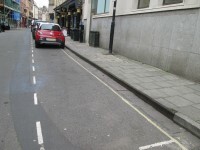 Standard marked parking bays are located on St Nicholas Street. 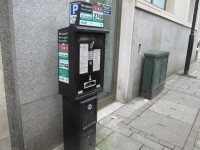 There are parking meters on St Nicholas Street. The road is busy and the parking bays are narrow. You are on Outside Access (Exchange Market). Skip to the next section. 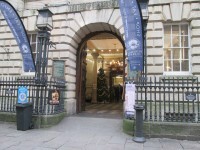 This information is for the entrance located on Corn Street. You are on Level Change (Exchange Market). Skip to the next section. 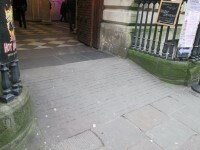 There are alternative entrances on Corn street which are accessed via steps. 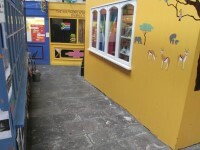 You are on Outside Access (Glass Arcade). Skip to the next section. 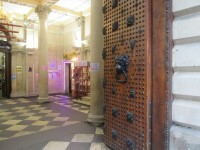 The door opening is 340cm (11ft 2in) wide. 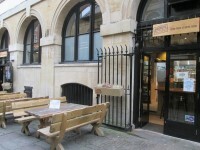 You are on Outside Access (Covered Market). Skip to the next section. This information is for the entrance located on All Saints Lane. The door opening is 205cm (6ft 9in) wide. 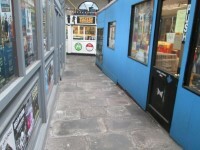 The ramp or slope is located throughout the market. 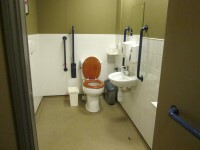 This accessible toilet is approximately 20m (21yd 2ft) from the main entrance to the Source. 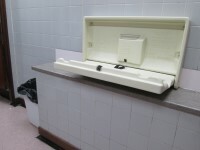 This accessible toilet is located within the Source Food Hall and Cafe. 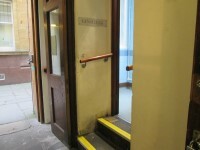 The ramp or slope is located on the approach to the accessible toilet. The female toilets are located ahead as you enter the Exchange Avenue entrance. 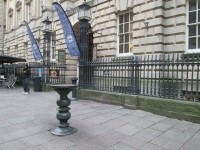 The female toilets are 1m (3ft 3in) from the Exchange Avenue entrance. The male toilets are located ahead as you enter the All Saints Lane entrance. The male toilets are 1m (3ft 3in) from the All Saints Lane entrance. Baby change facilities are located within the standard female toilet. You are on Level Change (Standard Male & Female Toilets). Skip to the next section.